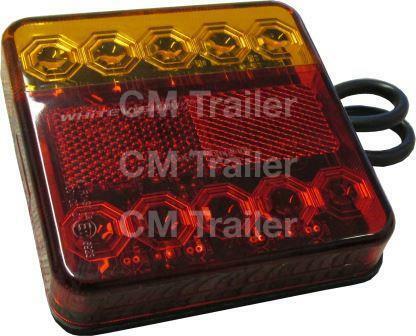 LED trailer lamps: Stop, Tail, Indicator, Reflex Reflector, Number Plate option. 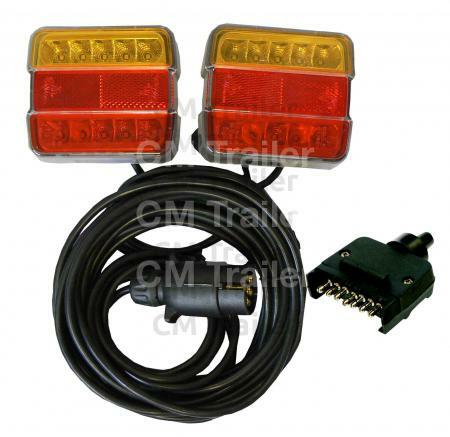 Prewired with 9 metres of cable and includes one left hand BL1401-9 and one right hand BL1402-9 tail lamp plus a 7 pin flat plug and plug holder. 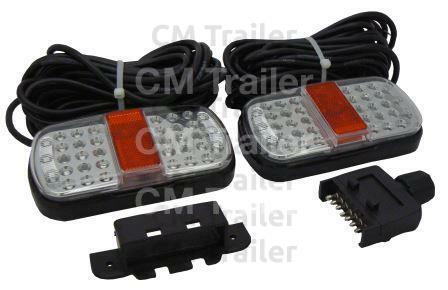 Same lighting kit as BL140LK but with 2 x BL1401-9 lamps (no number plate light), 1 x BL3009 number plate light 9mtr cable. New TrailerKit TM series feature a quick fitting plug and go wiring system that eliminates the need for joining or soldering, saving time and consumables. 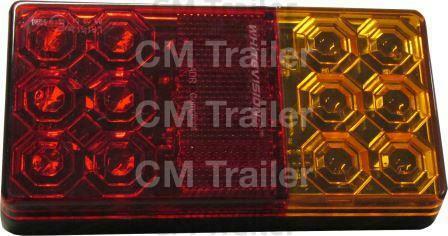 It has a right hand lamp with number plate lamp. 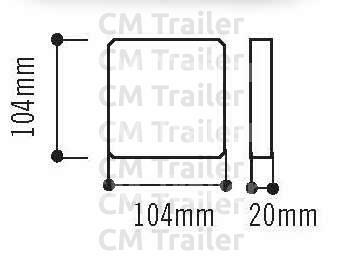 Low profile dimensions to suit multiple applications. 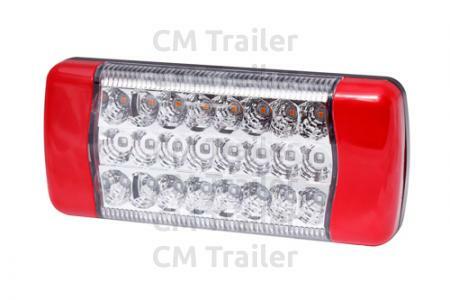 This modern design with unique lens pattern produces a high quality finish to rear lighting requirements. Simple, quick mounting design. ADR compliant. 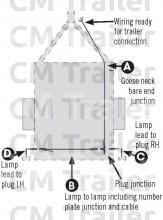 CM's 370 Series LED lamps are designed to be an easy-to-fit trailer lighting solution that can be fitted in a range of orientations. 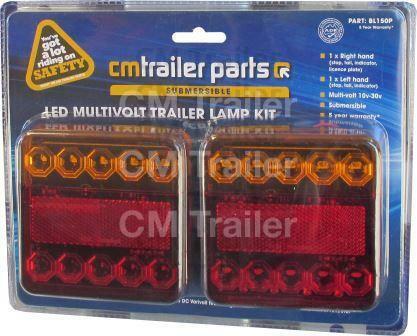 Box trailers need lamps to fit in a horizontal orientation and shine the number plate light across the trailer, from the narrow side of the lamp; while boat trailers need a number plate lamp that shines out of the wide side of the lamp downwards. 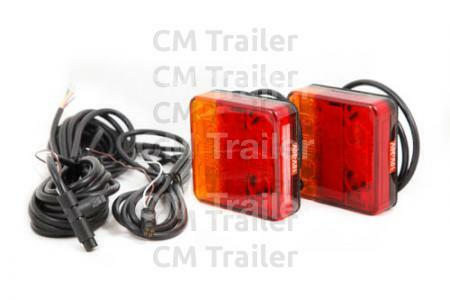 In a design solution, these lamps have number plate lamps fitted to one short and one long side of the right hand lamp, with the installer simply connecting whichever of the tow number plate function wires that suits their aplication best. 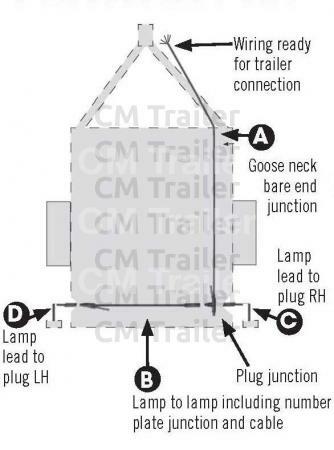 The fact that they look good, have cable length options, are submersible, and E-marked, makes them a first choice for many trailer builders. 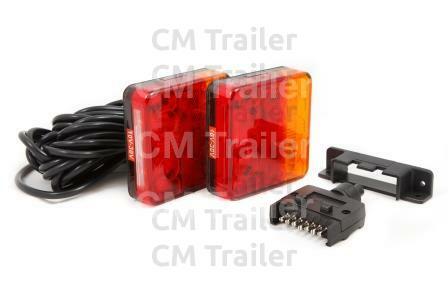 The lights in this kit are prewired with 9 metres of cable and includes 1 x left hand BL37029 and 1 x BL3703NP9 tail lamps. 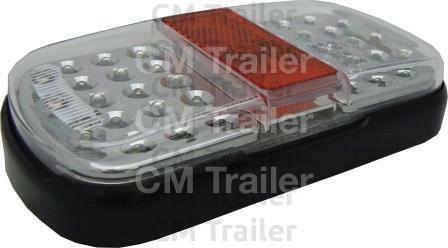 Twin number plate lamp orientation on right hand lamp. 7 pin flat plug and plug holder. With a smart slimline design, the BL190 series are robust multifunction lamps that can be mounted in areas where space is limited. 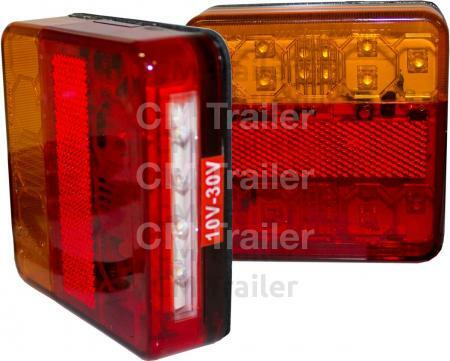 The lamps use Varivolt (R) 10-30V circuit technology and incorporate stop, tail, indicator, reflector with a model incorporating reverse. The high output SMD LED technology together with the smart optic design enables these lamps to comply with all the above functions with their slimline dimensions. 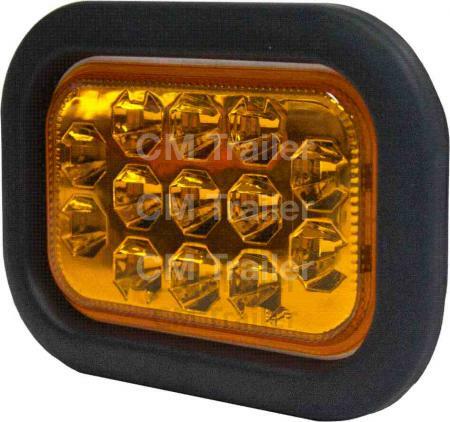 Excellent for trailers / utilities and commercial / industrial applications. 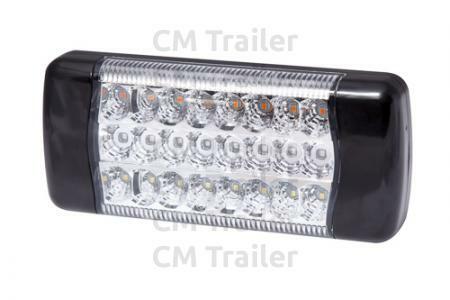 LED Stop, Tail, Indicator with integrated reflector, featuring 16 high-reliability LEDs the advanced optiics provide Full Form Signal Illumination for increased safety and awareness. New Multimount (TM) stud or screw mounting system. 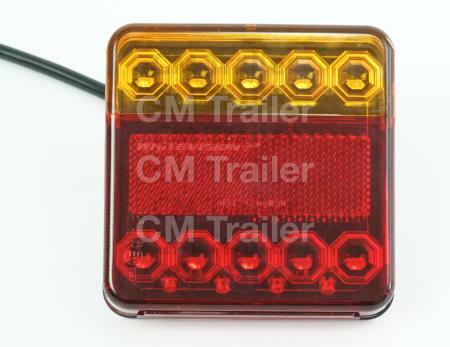 Heavy duty rear signal lighting modules in stop/tail, indicator and reverse modules. 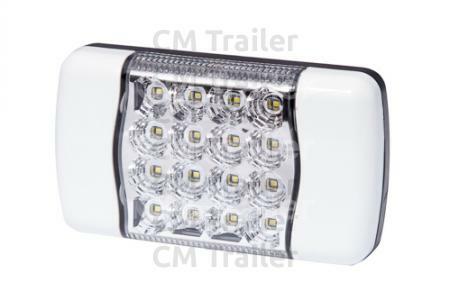 The BL180 series features advanced LED optical freeform reflector technology to achieve a highly styled, robust lamp that can be customised to match modern vehicle and trailer designs. Made for heavy duty use and inlcude a high impact polycarbonate lens and strong ABS base. 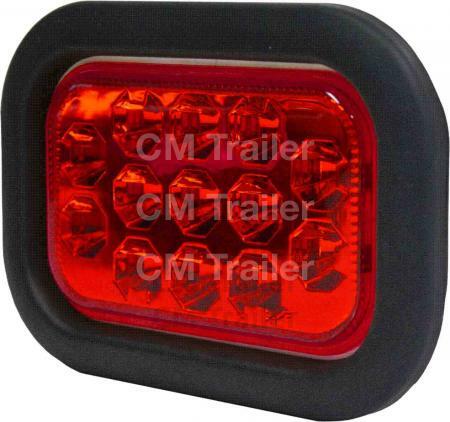 Suited to OEM and commercial applications. 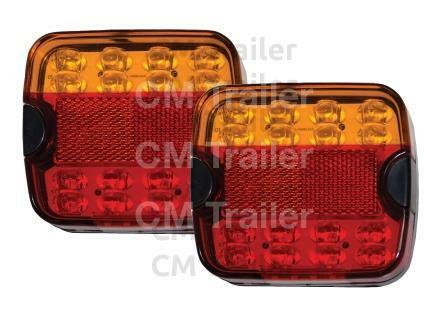 The BL220 series are a multifunction rear combination lamp featuring advanced LED optical free form reflector technology to achieve a highly styled robust lamp that can be customised to match modern vehicle and includes a high impact polycarbonate lens and strong ABS base. 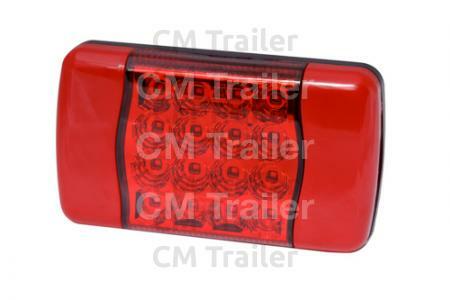 The BL220 series uses Smartclip (TM) end covers. 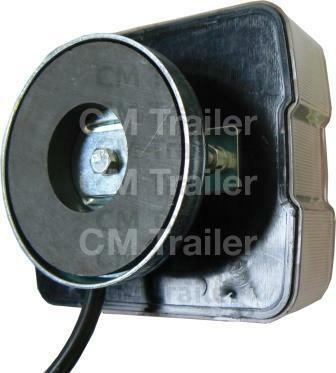 Suited to OEM and commercial applications. 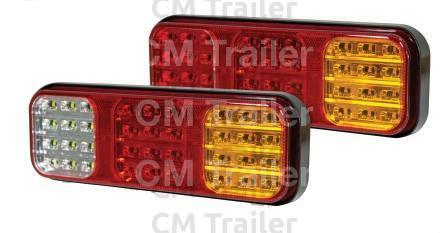 The BL280 series is the next generation in multifunction rear combination signal lamps. Delivering highly styled optics and unique lens design. 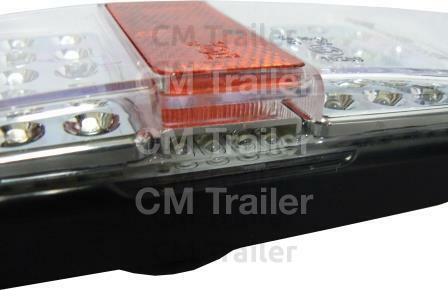 Heavy duty smart clip base with multiple mounting points. The all new BL605/405 Series JumboHD LED lamps deliver quality performance and durability for heavy duty applications. 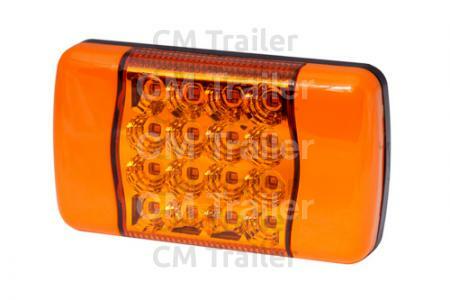 Featuring high visibility optics and modular design. 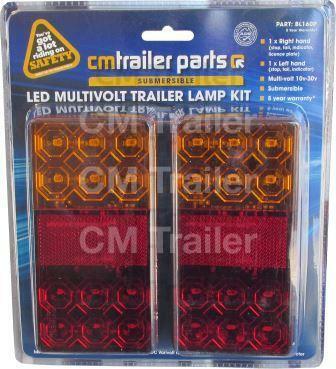 Multi volt 10-30v DC trailer lighting boards with 8 metre cable and 7 pin flat plug. 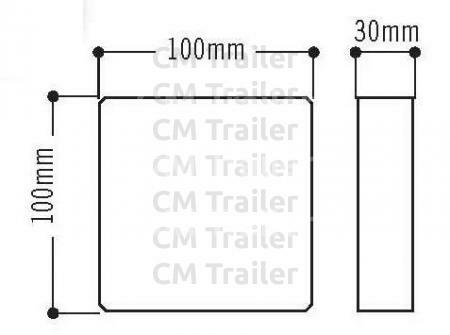 New Magnetic LED mujlti volt light kit with powerful magnets connected with 7.5 metre long cable x 2.5 metre wide and 7 pin round plug. A 7 pin flat plug is also supplied loose in the kit. 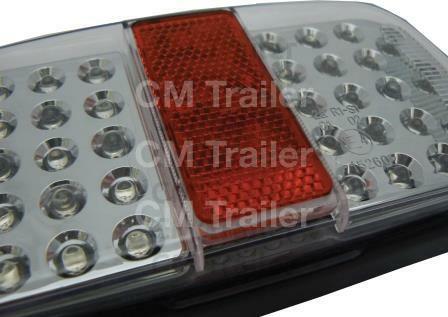 The lights have a built in reflector and number plate lamp.